Jumbo paper clips get the big jobs done right. Slide them easily onto thick stacks of documents or papers that need special attention. 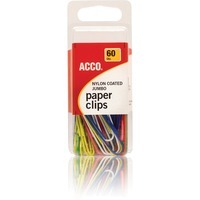 Each paper clip is coated with nylon for smoother use. Organize files and more.